Port Douglas is the tropical reward given to those who venture north of Cairns along the breathtakingly scenic highway route for about an hour. You’ll know you’ve arrived when you hit long stretches of white sand beaches, un-abating sunshine, and an air of sophistication. Come for the spectacular resorts and stay for the tropical bliss – that is Port Douglas. The gem on Tropical North Queensland’s crown happily sits snuggly along the tropic of Capricorn meaning warm summer days last year-round with the only real change in season being wet to dry. Dry season in winter is one of the most favourable times to travel to Port Douglas as the rest of Australia cools right down, the port remains a sunny haven perfect for beachside escapes. Not too long ago in the 60’s this relatively secluded nook had a sleepy population of just 100 people before it was ‘discovered’ as the enigmatic and unique destination it is. Even as resorts realised the potential of the area with fine dining following suit Port Douglas maintained its chic charm and did not become just another tourist mecca. For this reason Port Douglas is often frequented by celebrities, as well as families who prefer a swankier beach holiday as it has not an iota of tack, vulgarity, or gaudiness as it flaunts its pristine beaches and luscious rainforests like a model ready to strut down the catwalk. In fact it is the area’s natural terrain that makes Port Douglas a rare gem, it is one of the only places on earth two natural wonders meet. The Great Barrier Reef watches over the port glistening its azure blues waters while the luscious rainforests of Daintree and Cape Tribulation have stretched themselves over the vast coastline ensuring even inch is covered varying shades of green. Also hidden within the sub-tropical rainforests is Mossman Gorge, another popular calling card to the area. 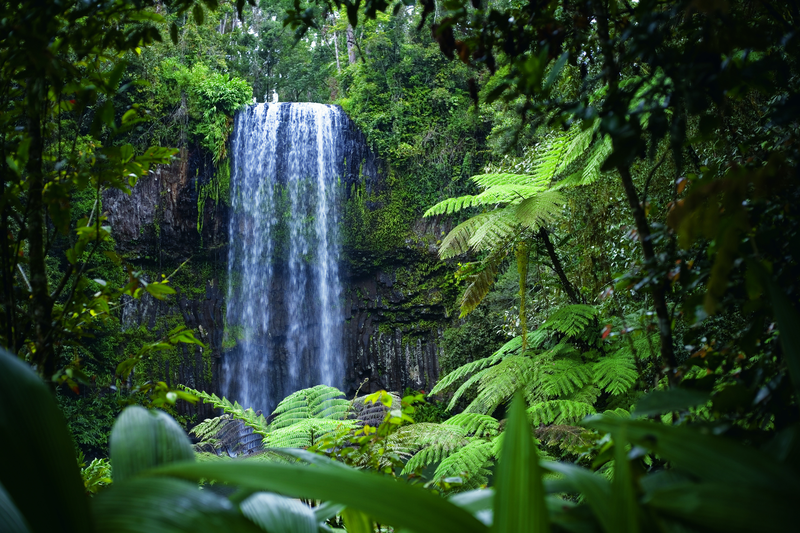 Family holidays in Port Douglas lend themselves to rainforest walks, hikes, and safaris either guided or solo to see the pristine forest, crystalline steams, domineering mountain range, and dramatic gorge. Be sure not to forget a camera on this trip as you will find inspiration around every corner. Unfortunately traditional cameras will offer no assistance in creating physical memories of your time on the Great Barrier Reef. 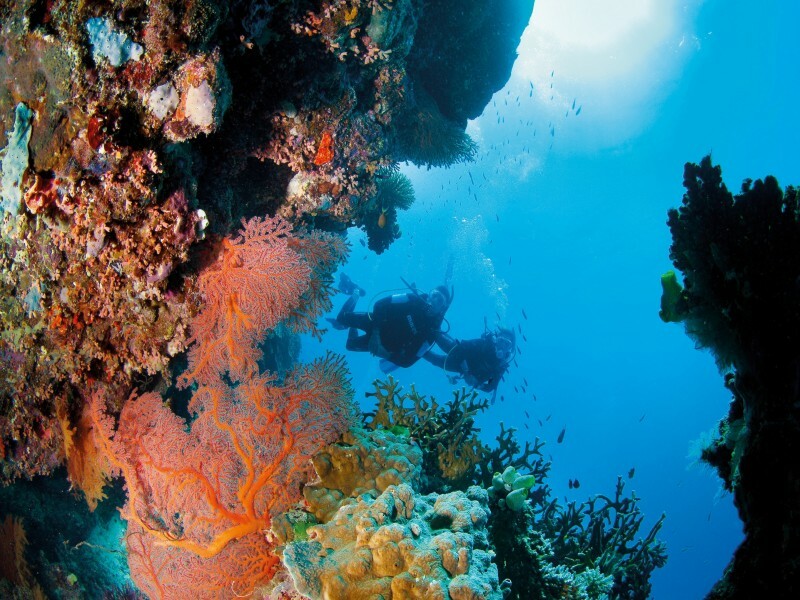 Both snorkelling and diving are offered by several tour operators that encompass everything from accommodation pickups, drop offs, boat trips to the reef and lunch on the boat. You can also take the family out to sail the waterways, charter a fishing expedition, or simply become sun-kissed on famed Four Mile beach. 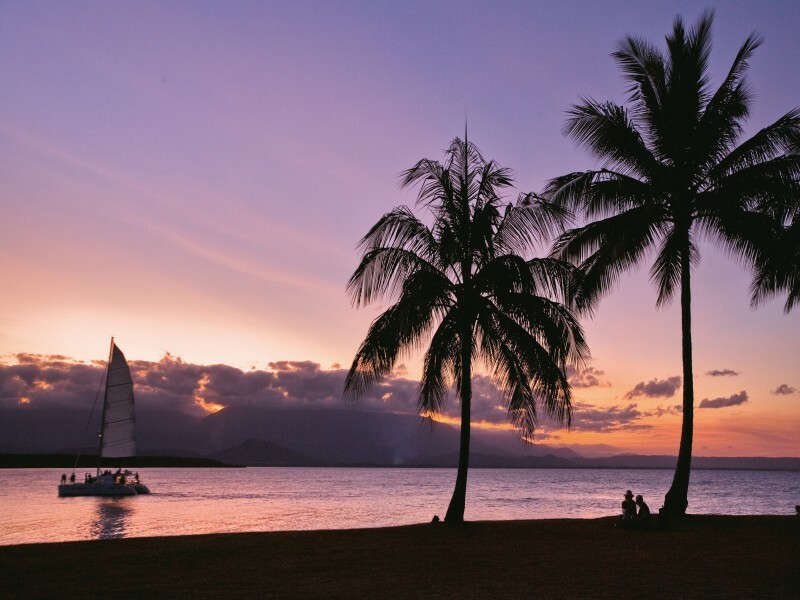 Port Douglas has a myriad of qualities when it comes to appreciating natural beauty – all of which are incredibly alluring. 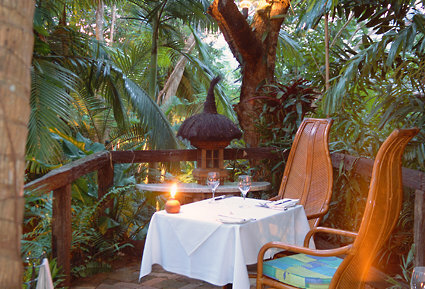 Speaking of alluring, the dining scene in Port Douglas is absolutely burgeoning. A foodie haven, there are restaurants, cafés, bars, and cocktail nooks galore. Watergate is a great restaurant with a lively atmosphere that also happen to have a well-curated cocktail menu to round out the experience, while Harrisons has consistently held national accolades for its tasty and modern cuisine and serves up its ambience in a colonial style building on Wharf Street. For a more casual experience with a hearty family vibe both Zinc and Fresq will deliver, however do not go past Fresq for breakfast, the menu is perfect for both parents and kids and their coffee is to die for. For an upmarket, fancier, and romantic meal Nautilus offers an unparalleled dining. The experience begins by entering through a hidden walkway before emerging onto the treetop decks that offer panoramic views that allow you to truly appreciate your majestic surroundings while enjoying the five star cuisine, beautiful wine pairings, and (hopefully!) excellent company. As well as exploring the Daintree and Cape Tribulation rainforests in the National parks, adventuring out to the Great Barrier Reef to meet Nemo, Bruce and the gang and enjoying a diverse selection of cuisine there still more things to do in Port Douglas. 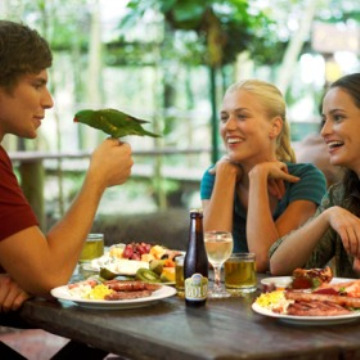 Breakfast with the Birds is a hugely popular activity held at the Wild Life Habitat as you enter Port Douglas. This must-do breakfast immerses guests in the wetland environment to enjoy the cacophony of sounds emitted by the colourful birds and wildlife as they meander freely among the guests who are enjoying a buffet breakfast filled with the tropical tastes and flavours of Port Douglas. To enrich your senses and fill your soul book to see Flames of the Forest. A cultural show with dinner combines an award winning Aboriginal dance and cultural performance with delicious cuisine that fills your evening with an experience like no other. 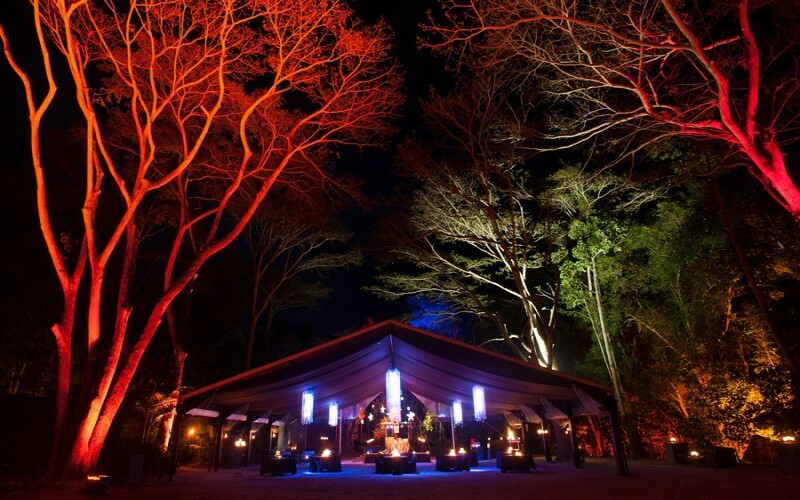 Exciting Port Douglas activities are not limited to daylight, this dinner show sees the rainforest burst into life at night in North Queensland’s ultimate rainforest ballroom. For an evening quietly enjoying a cocktail you simply must head over to Thala Beach Lodge. The elevated bar offers advantageous views overlooking the rainforest out to the sparkling waters of the Coral Sea. It is the perfect place to relax into the flavours of your cocktail and appreciate the rainbow of purples, reds, oranges, and pinks as the sun sets into the ocean. If your Port Douglas holiday reaches a Sunday, then you are in luck! 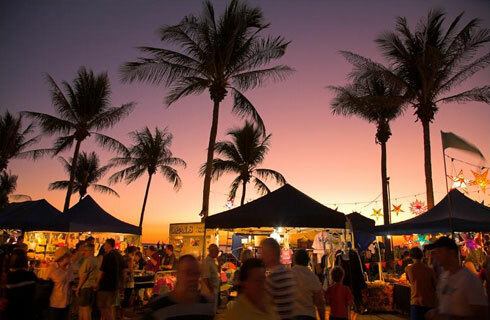 The Port Douglas Markets hit Anzac Park on Macrossan Street each weekend from 8am until 1.30pm and boasts everything from local fresh fruit and vegetables to arts and crafts to jewellery glassware and Australian souvenirs and even has street performers and artist to entertain you while you shop and wander through the stalls. Feeding George the Groper is another well-known must do while visiting Port Douglas. George the Groper is a hungry little thing that weighs a mere 250 kilograms and traverses the waters outside On the Inlet, a beautiful seafood restaurant, at 5pm daily. Pop down to meet George and throw him a chip! Being a destination renowned for its cosmopolitan charm Port Douglas is well equipped with resorts, hotels, beach huts, backpacker options, budget accommodation and more. 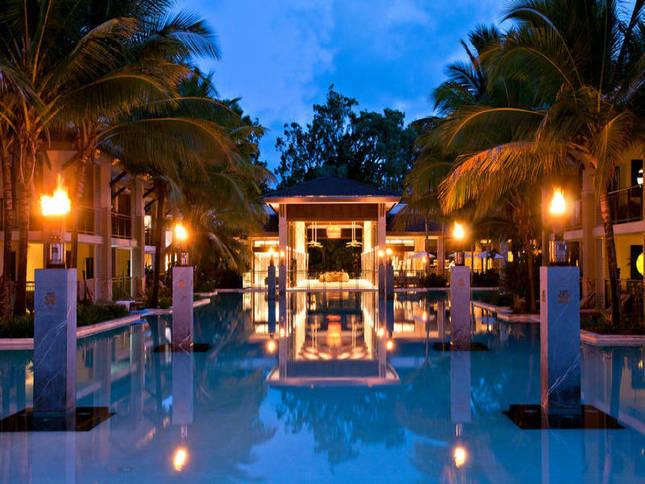 For a full resort experience there is no better than the Sea Temple Port Douglas Boutique Collection situated on the beachfront of Four Mile beach. This handpicked collection of studio, one, two, and three bedroom apartments, penthouses and swim ups is the height of luxury. The expansive lagoon pool is the centre piece of the resort and connects many of the facilities and suites to each other. The restaurant offers fine dining overlooking the flame lit lagoon or if you’d prefer you can eat in the comfort of your suite with room service that is complimented by friendly and proficient staff. There is a day spa for all your relaxation needs, as well as a tours desk, gym, pool bar, resort shop, bar and lounge, and kids club during peak season. Being one of the largest resorts in Port Douglas the Sea Temple is located a few kilometres from the centre of town, some guests enjoy the quiet, pleasant stroll into town, while others avoid it with a 5 minute taxi. 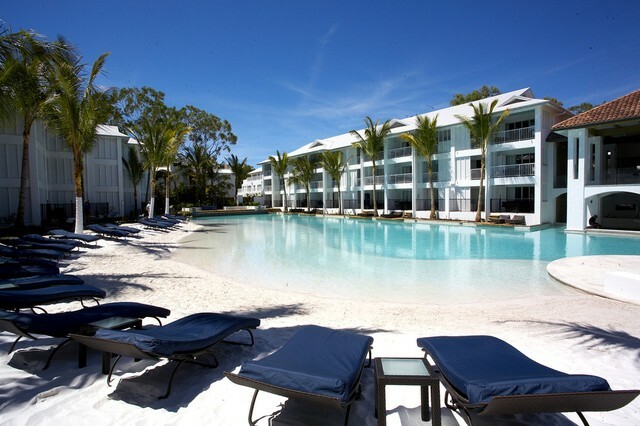 For Port Douglas accommodation closer to the action both Mantra Heritage and Peppers Beach Club deliver delightful resorts in the centre of town. Mantra Heritage embraces a relaxed atmosphere and features its beautiful lagoon pool that covers a massive 1200 square metres across the lagoon, spas, and pools. Peppers Beach Club is a stunning resort that epitomises the heart of Port Douglas and also boasts an excellent lagoon pool complete with sundeck and spa, and for the real thing, Four Mile beach is only a short stroll away. The resort also has a fitness centre, exclusive day spa, and concierge and tour desk ready to book you on a range of exciting reef and rainforest experiences. 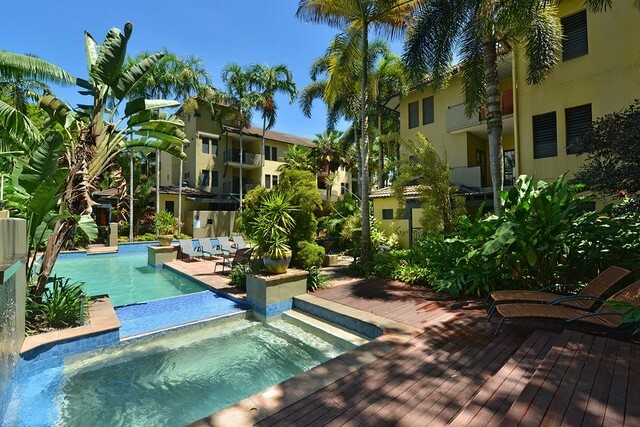 Both the Reef Club and Bay Villas are perfect Port Douglas budget accommodation options, both resorts promise high standards of quality as they are four stars and located in the centre of town. They are also within walking distance of the beautiful Four Mile beach as well as a plethora of dining options. If you are taking a break from the little ones or simply don’t have children both Shantara and Meridian are adult only resorts that feature stylish and self-catering studio and one bedroom apartments, a quiet, romantic and laid back atmosphere, and are both 4.5 stars. For a fresh and funky feel that does not sacrifice quality speak to Discover Queensland about staying at QT Port Douglas. This quirky resort packs a quality punch that will leave you seeing stars for days. One of the features that QT is famed for, besides stellar customer service, is amazing food. The cuisine available within the resort is second to none. Although depending on your personal preferences the food could be second to the fabulous cocktail menu available. No matter what your holidaying style, luxury all the way, a unique experience, beach front, no kids, 7 kids, grandma, fido, and your own personal baby sitter Port Douglas have an accommodation option that will suit your contingent. As well as offer plenty of activities, great dining, and of course the naturally stunning landscape is thrown in free. 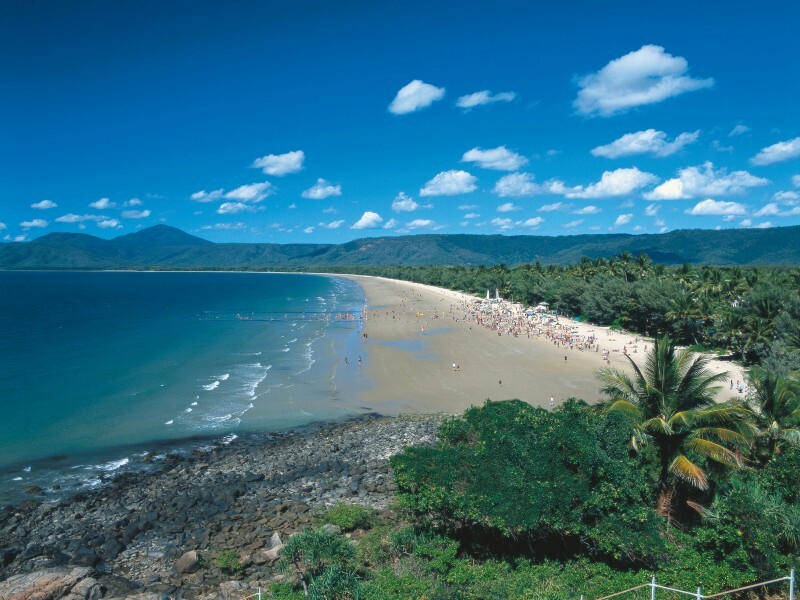 Speak to the Tropical North Queensland experts today to book your next Port Douglas escape.